The FSA is a team of volunteers who manage and maintain the Floodlit Sports Area in North Kilworth. Funds are raised for this purpose through the collection of membership fees and the organisation of an annual Safari Supper in the village. Where is the Floodlit Sports Area? The Floodlit Sports Area is located on South Kilworth Road (next to the Sports Club and opposite St Andrew's Church of England Primary School). 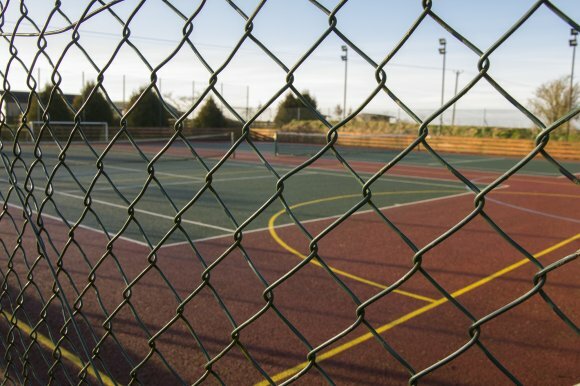 What is played on the Floodlit Sports Area? There are two tennis courts and also markings, nets and posts for 5 a-side football and netball. The area can be floodlit (tokens are available from the Booking Clerk or Howkins Garage at a cost of £1.50 for 30 minutes).